... not just reserved for your ice cream anymore, this subtle pastel is popping up all across the trend spectrum for spring. 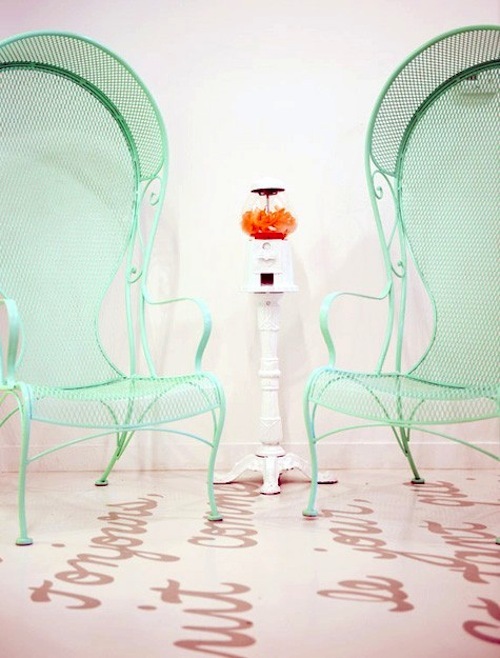 Fresh and fun, mint can certainly add a jolt of life to any space [or outfit]- even if its just in the form of a few great candlesticks! outdoor mesh balloon chairs? yes, please! 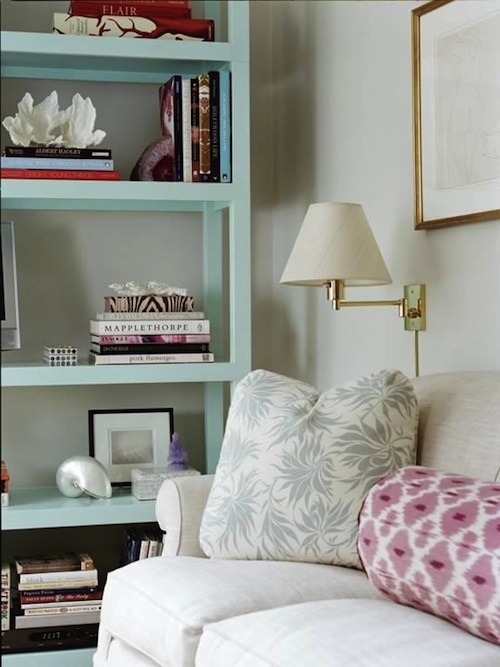 I could not be more in love with that mint bookcase! I'm working on our library right now and that is definitely going in the inspiration folder. Thanks for sharing! I keep seeing green since the new year. It's not one of my favorite colors but looking these pics I might have to reconsider. That mint bookshelf is my favorite, so soft and pretty! Love the walls in that last room! Certainly a color to consider! 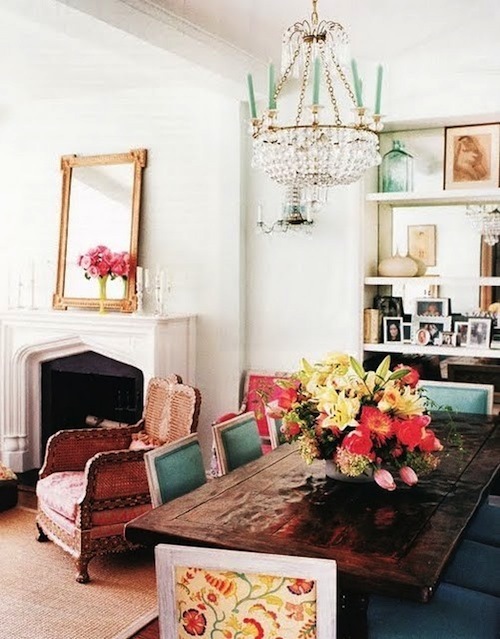 love the bookshelves and the chandelier with the candles is breathtaking! You just introduced me to a hue I hadn't really considered before and totally inspired me - thank you! You'll love it and I have that last room but from a different angle. I'm glad I got to see it at this angle. Do you know who did by chance? This is delightful. I just love those balloon chairs! 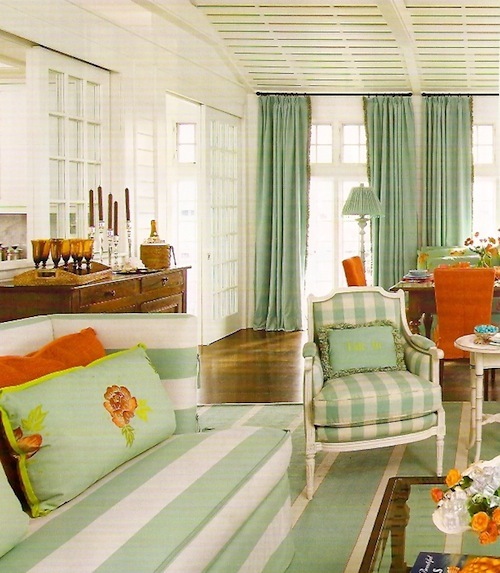 I saw a room in an older Martha Stewart magazine that had mint green furniture in it and was in love! These images are great! great post Keely! I'm in love with blue-greenish colors!! !